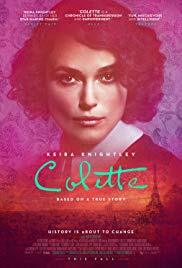 Colette is pushed by her huband to write novels under his name. Upon their success, she fights to make her talents known, challenging gender norms. Rated R Runs 1 hour 51 min.